UNESCO’s approach to media development is both knowledge-driven and context-sensitive, and it takes into account the challenges and opportunities created by the rapidly changing media environment. In light of this, the IPDC Bureau, at its 57th meeting held in March 2013, approved the concept of Knowledge-Driven Media Development (KDMD) as a new Special Initiative of the IPDC. The KDMD framework highlights the importance of generating and sharing of knowledge and learning to advance media development, and has special relevance to an inclusive approach to strengthening journalism education worldwide. IPDC has a clear role to play in 2014-21 in regard to knowledge development and circulation. It is significant that UNESCO has diagnosed the current historical period as one entailing the construction of knowledge societies. As such, it becomes increasingly relevant for IPDC to promote knowledge-driven media development. Here, IPDC is sitting on the proverbial goldmine constituted by a sizeable volume of information related to the large number of projects which it funds per annum. In this light, IPDC can be conceptualized within a wider learning cycle and results-based management. It is in this vein as well, that the selection of projects by the Bureau should assess the potential of each applicant’s project to serve as a pilot in the sense of generating value far beyond the immediate scope of the activities. The information arising from these projects can generate knowledge, which in turn can enhance future project selection and learning, in a virtuous spiral of learning. In this way, IPDC can also become a global leader in transparency and sharing of information about media development. This would include enhancing its data base, and by leading a global process to promote research and knowledge generation within the media development community of practice. 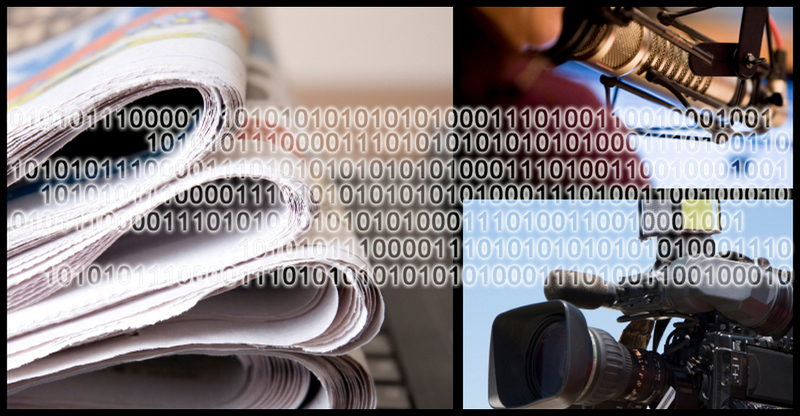 The Media Development Data Sharing Principles were developed as part of a collaborative effort between UNESCO, the World Association of Newspapers and News Publishers (WAN-IFRA) and the World Bank Institute to encourage greater sharing of knowledge generated as a result of each organization’s support to media globally. This ongoing joint effort is part of an even larger group of media development actors focused on developing and refining knowledge management and research aggregation tools. The group, under the leadership of UNESCO, includes the Catholic Media Council (CAMECO), Deutsche Welle and the Center for International Media Assistance (CIMA). Interested organizations are welcome to participate in this collaborative venture, and can email their interest to: f.banda(at)unesco.org. As the world entered 2015, when the Millennium Development Goals (MDGs) were to complete their 15-year cycle, the United Nations Member States were faced with the challenge to articulate clear goals and targets for post-2015 Sustainable Development Goals (SDGs). To aid them in this effort, the Rio+20 outcome document, The future we want1, had already provided for the establishment of an Open Working Group (OWG) on SDGs. Comprising 30 representatives, the OWG proposed a series of 17 goals and 169 associated targets published in their outcome document2. In September 2015, the 193-Member UN General Assembly formally adopted what became known as the 2030 Agenda for Sustainable Development. The process leading up to the goals was marked by give-and-take among the Member States. This was not an easy task, given the way paragraph 247 of the Rio+20 outcome document specified the manner in which the task of elaborating such goals should be approached. It stated that the SDGs needed to be action-oriented, concise, easy to communicate, limited in number, aspirational, global in nature and universally applicable to all countries, while taking into account different national realities, capacities and levels of development and respecting national policies and priorities. Following the adoption of the goals, an Inter-Agency Expert Group on SDGs (IAEG-SDGs) developed a global framework of indicators which, at the time of writing in June 2017, had been adopted not only by the UN Statistical Commission (UNSC) but also by the Coordination and Management Committee of the UN Economic and Social Council (ECOSOC). The next step would involve the UN General Assembly adopting the framework of indicators. Of particular concern to UNESCO is Goal 16 and its associated Target 10 and Indicator 16.10.2 and Indicator 16.10.1. UNESCO is the custodian agency for Indicator 16.10.2. The elaboration of the relevant target and associated indicator was a cumulative effort of the IPDC’s advocacy, along with other UN agencies and civil society organisations, including the Global Forum for Media Development (GFMD). To a significant degree, the IPDC used its Knowledge-Driven Media Development initiative to produce a body of knowledge that made the case for advocating for the inclusion of free, independent and pluralistic media in the post-2015 development agenda. Building on its analyses of IPDC’s implementation reports of projects supported over the years, and synthesizing empirical research undertaken in this area, UNESCO sought to stimulate and promote further debate among its Member States and thus contribute towards evidence-based decision-making in this regard. Proposes possible data partnerships and modalities to facilitate UNESCO’s role as a custodian agency responsible for global reporting to the UN on Indicator 16.10.2. The Briefing Note served as a point of discussion during the first technical workshop held on 19 September 2016 in Jakarta on operationalizing Indicator 16.10.2 for effective reporting on the SDGs. Over 30 participants attended the workshop. Furthermore, UNESCO, together with the Office of the High Commissioner for Human Rights (OHCHR), held its second technical workshop on Indicator 16.10.1 on 28 June 2017 in Geneva, where over 29 experts worked to further operationalise the indicator as part of a larger framework for measuring progress on the indicator. OHCHR is the custodian agency for this indicator, with UNESCO contributing data for reporting purposes. Prior to this workshop, UNESCO prepared a Concept Note in an effort to clarify the different aspects of the indicator and how they could effectively be reported on, including suggesting ways of covering those variables not currently covered. 1 United Nations. 2012. Rio+20 United Nations Conference on Sustainable Development Outcome of the Conference: The future we want. . Available: http://www.uncsd2012.org/content/documents/774futurewewant_english.pdf. Accessed on 16 March 2015. 2 United Nations Department of Economic and Social Affairs: Sustainable Development Knowledge Platform. 2014. Open Working Group proposal for Sustainable Development Goals. . Available: https://sustainabledevelopment.un.org/focussdgs.html. Accessed on 16 March 2015.